One of the most important things we can do for our homeschools is to keep track of what we have done. It not only serves as a record of our assignments and activities and provides necessary documentation for reporting purposes, but it can also help in determining what we need to be doing. 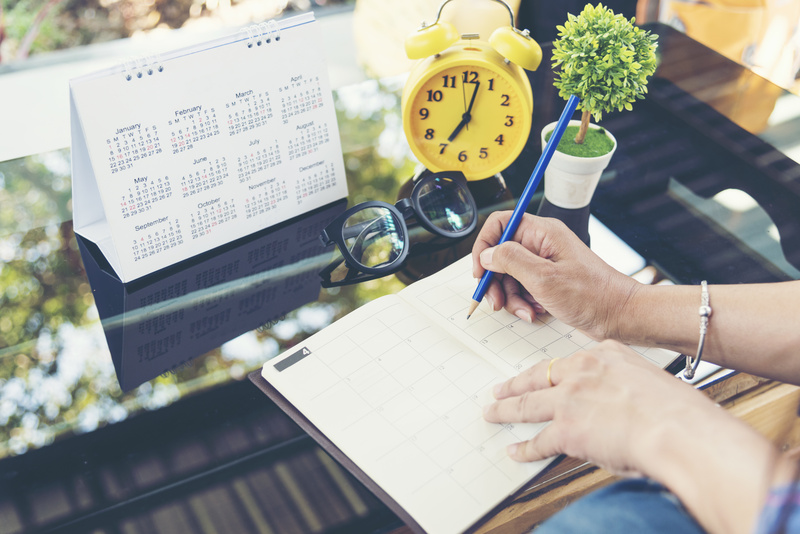 Homeschool planners can make the task of laying out and recording our homeschool days feel a little more organized and less "flying by the seat of our pants." 1. Tina's Dynamic Homeschool Plus – 7 Step Free Homeschool Planner– build your own planner with a combination of pages, colors, and more. Includes step-by-step instructions for building your planner to suit your needs. 2. Wonder + Wildness – Make Your Own Homeschool Planner– large selection of pages with a Charlotte Mason theme and quotes. Pages include a blank 2-page calendar, lined, dotted, and plain pages that could be used for journaling, an assortment of schedulers and checklists, Charlotte Mason guidelines for what a child should know when, and so much more. 3. Five J's – Homeschool Planner– zip file download grouped by type in PDFs for a variety of pages including daily and weekly planners, record keeping, unit study planning, unschooling records, chore charts and more. There are also additional downloads available at this same link. 4. The Notebooking Nook – Homeschool Planners & Charts– includes colorful and black and white teacher planning pages, weekly schedules, checklists and chore charts. 5. Beauty in the Crumbs – Free Homeschool Planner Printable– available in black and white or a colorful version, this freebie includes cover options, curriculum list weekly, monthly and daily schedule planning pages, as well as student goals, book list and field trip planner. Please note that some pages have the 2018-2019 year on them but many are undated. 6. This Little Pig Stayed Home – Apple Lesson Planner– very cute apple themed planner pages that include daily and weekly dockets, 2-page Monday through Friday weekly spread with room for 6 topics or students and notes, year-at-glance notes, reading log, field trip planner, and more. 7. Aussie Pumpkin Patch – Free Planning Pages– sweet black and white pages for unit study planning, artist, nature and composer study, book list pages, holiday pages, weekly planning pages, and several extras that might be useful for a home binder. 9. Chart Jungle – Homeschool Schedules– scroll down the page a bit to find a selection of daily, weekly, and monthly scheduling options for 1, 2, or 3 children. You will also find loads of other types of charts, diplomas, word lists and much more. These load as images and you can either print using your print option from your browser or save the image to use in a document you create. 10. Homeschooling Hearts & Minds - Free Homeschool Planning & Assignment Pages– pages are available in black and white or rainbow. There are links at the bottom of the post to more planning sheets she has created. 11. JessicaLynette.com – Printable Planner Pages– while this post includes resources for the 2014-15 school year, there are still several undated pages you may want to check out including a monthly blank calendar and a weekly Charlotte Mason inspired planner. 12. The Crafty Classroom - Free Homeschool Planning Printables– fun planning pages that include goal and plan sheets and a weekly homeschool calendar. 13. Homeschool Creations – Middle and High School Planner Printables for Homeschool– bright and cheery planner pages for use in planning and tracking information for middle and high schoolers. There are credit and class tracking pages, daily schedules, a page to record graduation requirements, course descriptions and more. Free Subscriber Planners– to access these planners you will need to subscribe to the site's newsletter. * Please note that we did not subscribe to all of these newsletters to view the planners but relied on the images and postings to make the determination to include in our list. As always, preview the content of the home site to be sure you want to subscribe to their newsletter. 20. Blessed Learners - FREE Homeschool Planner 2019 – 2020– 80 plus pages including homeschool vision and mission, reading logs, resource pages, yearly, monthly, weekly, and daily planning, unit and lapbook planning and more. 21. The Frugal Homeschool Mom - 2018-2019 Free Homeschool Planner– printer-friendly black and white planner pages for monthly, weekly, and daily planning, grade and attendance trackers, pacing guides, and so much more. 23. Homeschool Solutions with Pam Barnhill – Free Homeschool Planning Mini-Kit– 16 planning pages including a 4 and 6 block schedule planner, course of study, goals worksheet, loop schedule planner, resource lists, weekly and daily planners, and a student weekly checklist. 24. Homeschool Den – Free Homeschool Planner and Discovery Journal– unique planner that also includes helpful information to the homeschooler. Pages come in different orientations, formats and colors and include an active learning tool box page to list your hands-on materials, a variety of monthly, weekly and daily sheets and checklists, thought provoking homeschool journaling pages, attendance records, science experiment pages, book lists, and even family favorite meals, phone list, password tracker, emergency contact page, and a slew more. A total of 169 pages are included in this subscriber freebie. 25. The Homeschool Mom – Printable Homeschool & Household Planner Pages– straightforward, clean planning pages for home and school. Includes daily and weekly planners, assignment sheets, menu planners, to do lists/chore chart, unschooling record, activity record, reading log, attendance sheet, unit study planners, homeschool budget sheets, high school credit planner, goal sheets, and calendars up to 2020 plus a blank month. Because every homeschool family is different and there is such a variety of homeschooling styles, we are pretty sure that there is not a "one-size-fits-all" planner, but you might be able to use the resources above to piece together your own perfect planner that will work for your homeschool.